By now we have all heard about the new HTC One M8 with its beautiful aluminum body and dual stereo BoomSound front mounted speakers. The M8 is available in Gunmetal Gray and Glacier Silver through Rogers, Bell, Telus, Wind Mobile and SaskTel – all available for preorder now. For those holding out for the luscious color of Amber Gold, we have just found out via a tweet from Rogers that: ‘Rogers will exclusively carry the HTC One (M8) in Amber Gold, available mid-May.’ There is no word on the pricing of the Amber Gold – the other two models are selling for $229.99 on a two-year contract or $699 on a month-to-month. There is a possibility of a slight price drop over the next month, so by the time the Amber Gold device is available, it may already be selling at the reduced pricing. This is the second exclusive scored by Rogers in the past week as they announced they were also the only Canadian carrier to sell the LG G Flex device for $199.99 on a two-year agreement. The G Flex has been out for a while, but it took its good old-time reaching North America – some people will think it was worth the wait to be the first ones to use a smartphone with a curved 6-inch HD display (720p) with a Snapdragon 800 quad-core processor clocked at 2.3GHz with 2GB of RAM and 32GB of internal storage. It has a massively curved 3500mAh battery, a good camera, but only comes with 4.2.2 Jelly Bean out of the box. 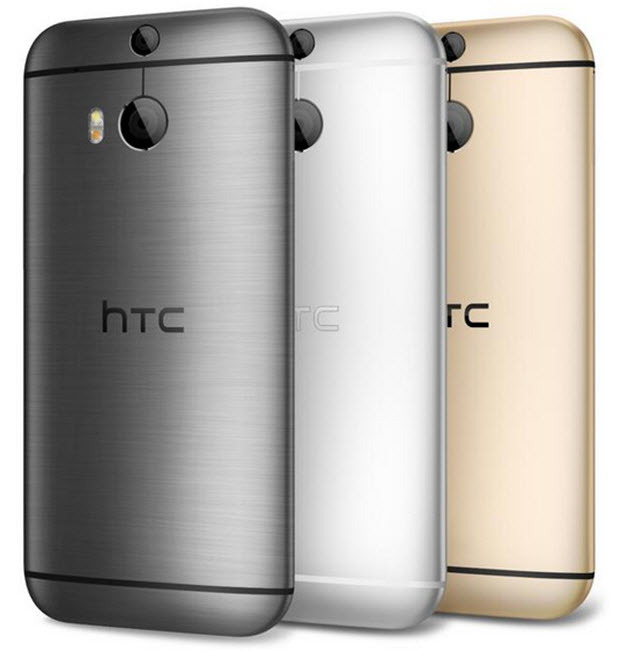 The HTC One M8 is packing a 5-inch Full HD display (1080p), overclocked Qualcomm Snapdragon 800/801 running at 2.3GHz with 2GB of RAM and either 16GB or 32GB of internal memory. One nice thing about the HTC One M8 is that HTC decided to allow for a microSD slot capable of handling up to a 128GB of additional internal memory. Now this device comes with the latest Android 4.4.2 KitKat and with the new Sense 6.0, HTC’s popular ‘skin’ over Android. The main camera is the same as last year’s – 4MP UltraPixel deal only this year they added another camera, dubbed the DUO Camera. It is used to add both depth and special effects to your photos. So there you have it – Rogers’ customers have access to the exclusive LG G Flex now, and in the middle of May, should be able to get their hands on the new HTC One M8 in Amber Gold. Hit us up on our Google+ Page and let us know if you will be getting any Rogers’ exclusives. The post HTC One M8 in Amber Gold Exclusive to Rogers in Mid-May appeared first on AndroidHeadlines.com |.